Based out New Smyrna Beach but we serve the entire FL with our EXPERT RACCOON TRAPPING & RACCOON CONTROL services. If you have issues with Raccoons making their way into your attic, in your garbage or in your soffit boxes – we can get them out. Raccoons can carry rabies and there may be no visible signs at all. Because of the wealth of bacterial diseases which affect raccoons like: leptospirosis, listeriosis, tetanus, and tularemia. Although internal parasites weaken their immune systems, well-fed individuals can carry a great many roundworms in their digestive tracts without showing symptoms. Since Raccoon Roundworms are transferred to humans and directly affects our brains — that alarms our techs more than the fear of rabies. While Raccoons overturning waste containers and raiding fruit trees are just a nuisance to homeowners, it can cost several thousand dollars to repair damage caused by the use of attic space as dens. Relocating or killing Raccoons without a permit is illegal in FL on grounds of animal welfare. We charge a flat rate trapping fee per week. There is NO set up fee, NO per animal fee, NO need for an estimate or quote – simply call us. The trapping fee is all inclusive: Five (5) trips out every single day to set the trap, check the trap and to relocate Raccoons trapped. It is the law in the State of FL that the traps are checked every single day – No exceptions. Success Rate: 100% of our raccoon trapping had the problem resolved & completed within One (1) Week. 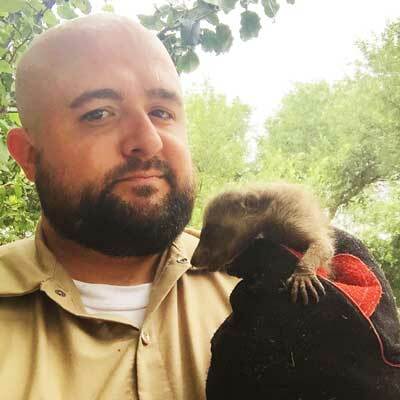 If a Raccoon is in your fireplace, came in through your cat door and is running around inside your house… we will come out and spend up to an hour trying to HAND CATCH & REMOVE the raccoon. We have 100% success rate of hand catching all raccoons that we have been called out to remove. 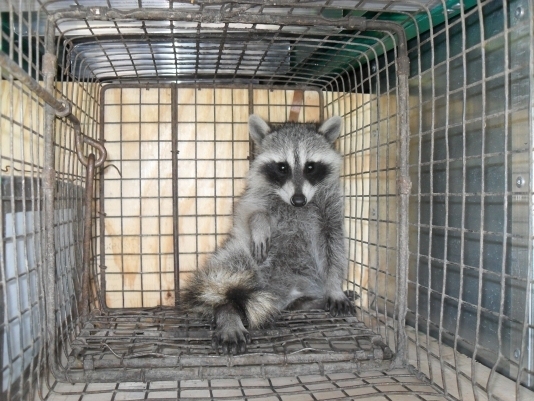 We have found our prices to HAND CATCH & REMOVE RACCOON to be the lowest, by far, in our industry. 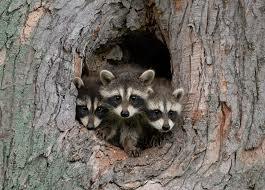 Raccoon-proofing also known as sealing up a home is referred to as Exclusion Services in this industry. Since no two homes are alike, no two exclusion proposals are the same price. However, Raccoon exclusion is far less expensive than squirrel or rat exclusion work. Exclusion is the act of using animal proof materials, devices and methods to keep the animals OUT – Basically it is Raccoon Proofing the home. Once the animals are taken out, they leave behind odors, feces and scents which may attract other animals. If trapping alone (without exclusion) it just clears the way for the next one to find their way in unless you block off its ability to “Get back IN”.